Researchers at A*STAR’s Genome Institute of Singapore (GIS) announced yesterday that they have successfully converted human embryonic stem cells (hESCs) cultured in the laboratory to a state that is closer to the cells found in the human blastocyst. This means that we are now one step closer to cultivating stem cells for research and potential therapeutic purposes, as well as understanding the processes of early human development. 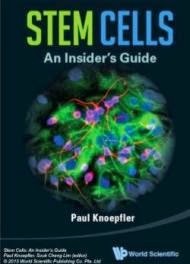 Pluripotent stem cells such as hESCs and induced pluripotent stem cells (iPSCs) have the remarkable ability to differentiate into various cell types of the adult body while proliferating continuously in culture. In the field of regenerative medicine, these cells are potentially a limitless resource to generate cells of different body parts such as the eye, liver, brain, kidney and pancreas to treat degenerative diseases or replace of worn out organs. Pluripotency is the essential property of the cells of the blastocyst in the early stages of human development. However, when cultured in the laboratory, these cells adopt molecular differences, which limit their use in therapeutic applications or disease modeling. Using previously established hESCs, the researchers screened for culture conditions that could induce a stable change of cell state. They found that the use of a specific combination of small molecules and growth factors, termed 3iL, converted hESCs to a state that resembled cells within the native blastocysts. The GIS team’s discovery will empower researchers with a novel resource to tackle existing challenges. "For the past 15 years, scientists could only work on a single hESC state. We now provide a novel cell state for all hESC applications, the results from the study will open many new possibilities to study human development and disease. The 3iL hESCs will help to overcome some of the obstacles that limit the potential of pluripotent cells in regenerative medicine." said Prof Ng Huck Hui. The researchers also found that many genes which are active in blastocyst cells but inactive in hESCs were turned on again in this novel cell state. These re-activated genes also showed epigenetic differences. To demonstrate how these 3iL hESCs can be used to obtain insights into human development, Prof Ng’s team studied the regulatory system that controls these developmental genes. "Studies of basic mechanisms like gene regulation require a large number of cells, this is the first time that we are able to see how these genes are potentially regulated. While additional experiments will help to fully characterize these 3iL hESCs, we can already see that they provide an unprecedented way to study early human development without the use of any blastocysts." said Dr Chan Yun Shen, co-lead author, and researcher at GIS. "In summary, our study identifies a distinct hESC state with defined regulatory circuitry that will facilitate future analysis of human preimplantation embryogenesis and pluripotency." extract from the study.